The Spanish Suite is in the heart of Rome only a short walk from the Spanish Steps, which is one of the most famous squares in Rome by the name of Piazza di Spagna. The Spanish Suite is in great location which offers the opportunity to move on foot through the streets of Rome, so you can admire the city in all its charm and delight. Rome is the city of art, history, monuments, squares and architecture. Within its vast and rich heritage there are monuments and artistic treasures that you will not be able to resist from seeing. Rome is a UNESCO World Heritage Site as well as the capital of Italy, and is considered one of the most beautiful cities in the world. Its historic center which is enclosed within Aurelian and Gianicolensi walls, includes 25,000 points of environmental interest and archaeological. After two thousand years of history, the first place to visit in Rome is undoubtedly the Colosseum, the Roman Forum, the Vatican City and the famous Saint Peter’s Basilica. It does not mean you should miss out on seeing the beauty of the Trevi Fountain and the Pantheon. 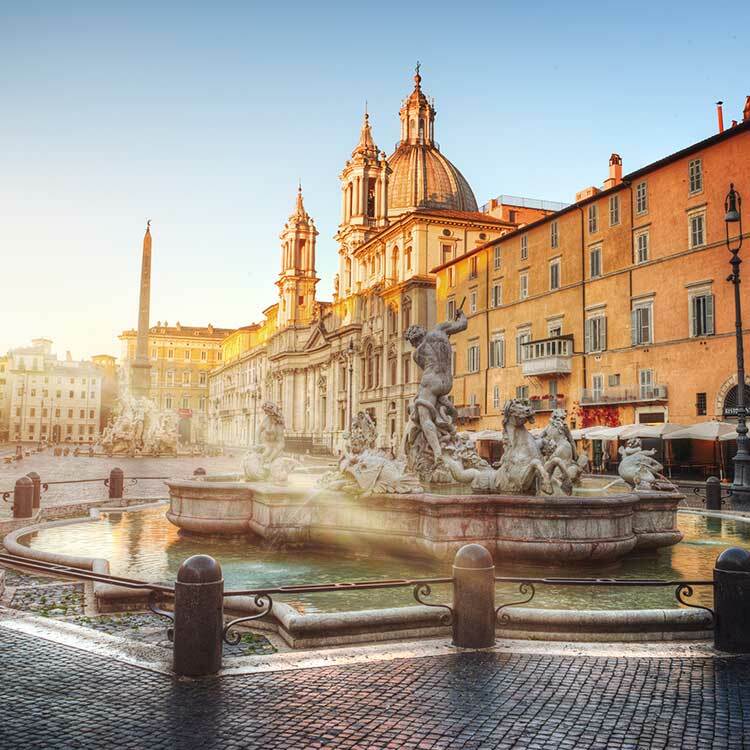 The most characteristic views of the Eternal City are the charming piazzas, Campo dei Fiori, which in the center a statue of the heretic philosopher Giordano Bruno. 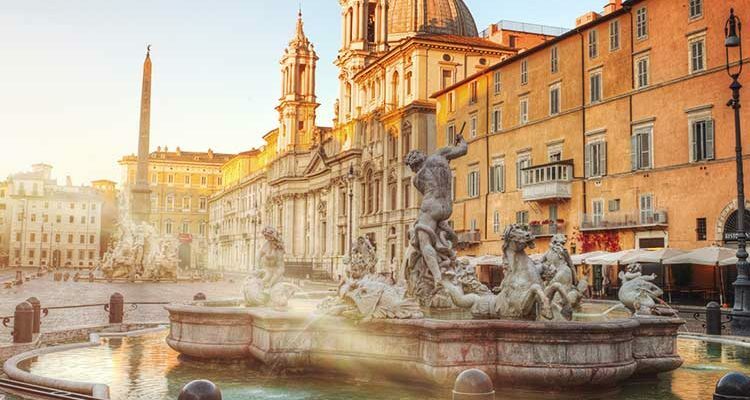 Piazza Navona, where there is the beautiful Fountain of the Four Rivers by Bernini. Piazza di Spagna is dominated by the famous steps Trinita dei Monti and Piazza del Popolo with the features twin churches. Piazza Venezia with the imposing Vittoriano, the first king of a unified Italy. Behind which stands the Capitol, the Largo di Torre Argentina that hosts four Republican Roman temples, and the remains of Pompey’s Theatre. Piazza Trilussa and Piazza Santa Maria in historic Trastevere. The Spanish Suite is in a great location for those who want to shop in the center of Rome, and only a few steps from the most important streets. From Via del Corso and Via dei Condotti, Campo Marzio in Piazza di Spagna to Via del Babuino you’ll be spoiled for choice.